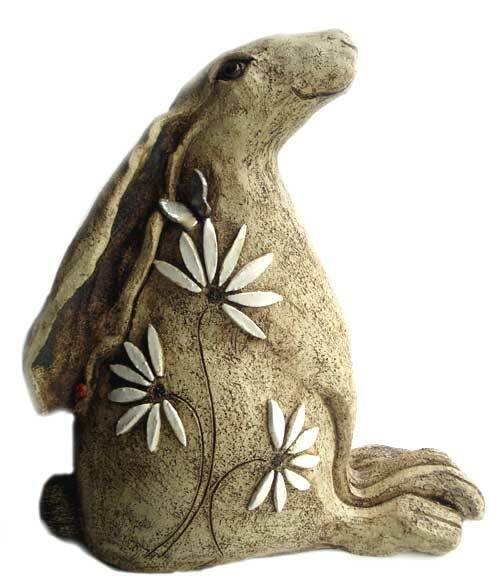 DESCRIPTION Large ceramic hand coiled hare sculpture, glazed in red iron oxide stains and stoneware details. 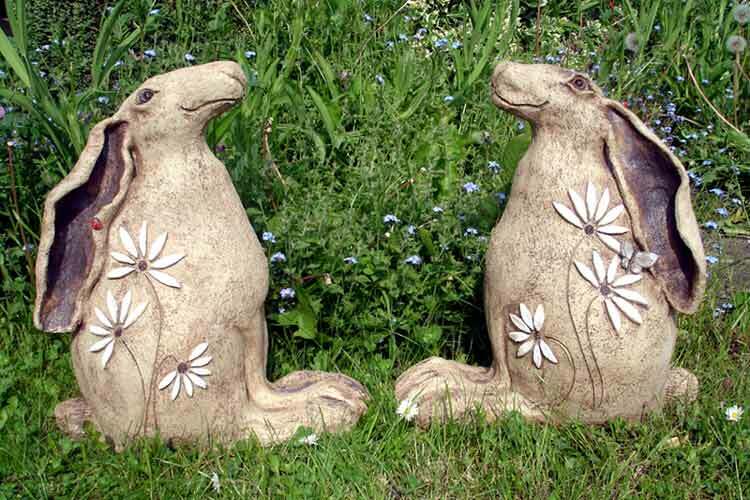 The work is frost proof and water proof and can be safely displayed outside. 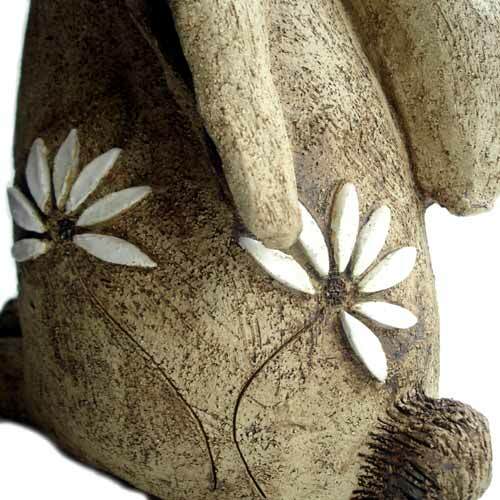 ARTIST'S STATEMENT This design came about through a private commission, but proved such a success with our customers that we have now introduced it into our range. 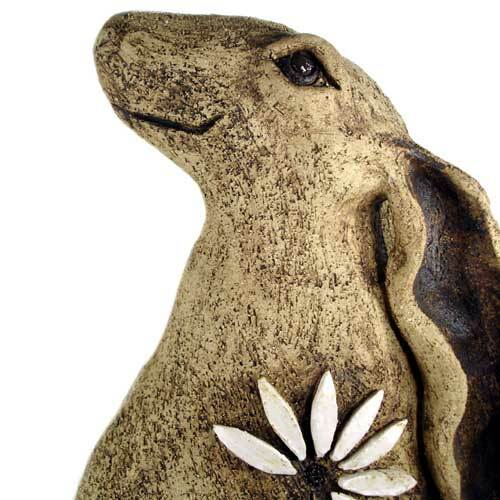 It was a pleasure to make the hare, as these endearing creatures are so full of character and can be positioned into some bold and stately poses. 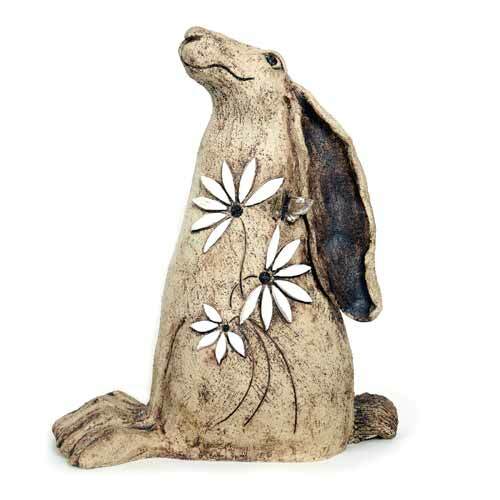 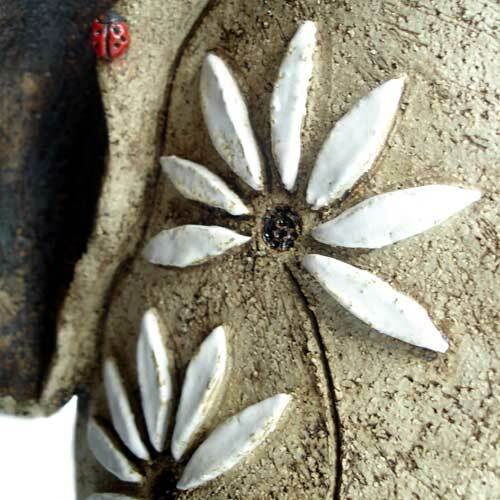 The daisy designs with butterfly and ladybird details were added to the hare, to extend a popular theme running through a new collection of vases, clocks and plaques.